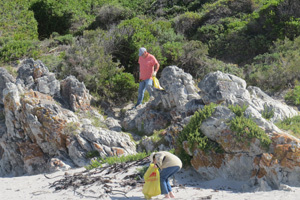 We report on the 14th BirdLife Overberg monthly coastal clean-up with a difference! 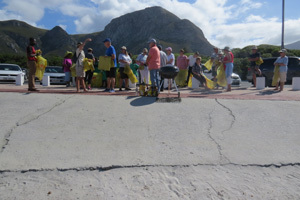 It was held on Saturday 17 November at Grotto beach, Hermanus and was done in collaboration with Walker Bay Recycling. 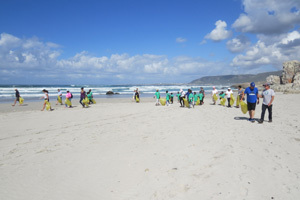 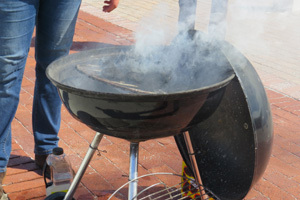 Other partners that participated were the Zwelihle Recycle Swop Shop and the Coastal Clean-up Conservation Trust, together with some of their volunteers. 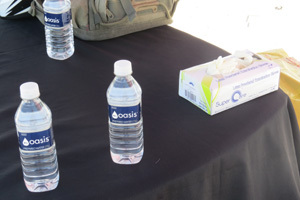 Checkers, Hermanus sponsored boerewors rolls and Oasis the bottled water. 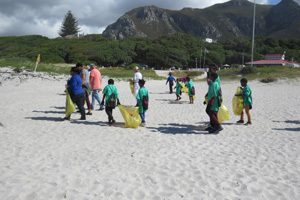 Clicks, Hermanus also sent a few volunteers to participate. 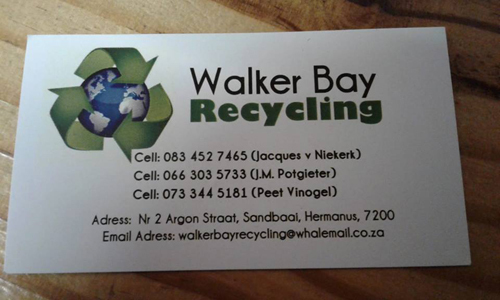 We express our sincere appreciation to John Kieser of Plastics SA for his continued support and supply of plastic bags for collecting the litter. 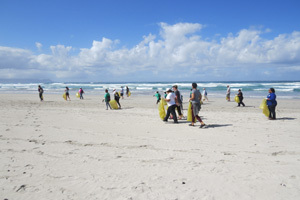 Close on 50 volunteers participated and this certainly illustrates that collaboration with other agencies works well. 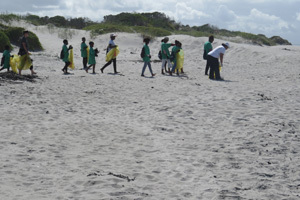 Hopefully more bird clubs will in future start with the same conservation actions and members will take on their own “local coastal patches” to clean up on a regular basis. 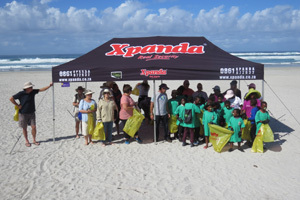 The dates for the monthly coastal clean-ups during 2019 are also available from us. 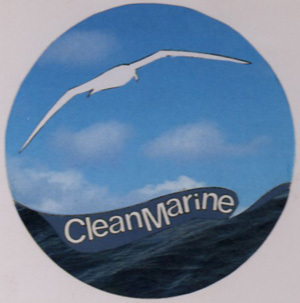 We thank Helé and Elaine for their continued management of this wonderful and worthwhile effort.